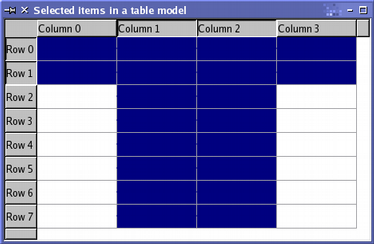 The selection model used in the item view classes offers many improvements over the selection model used in Qt 3. It provides a more general description of selections based on the facilities of the model/view architecture. 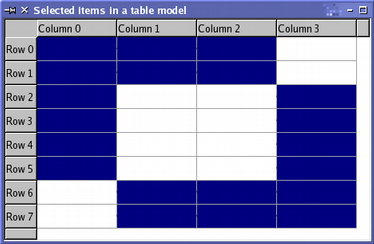 Although the standard classes for manipulating selections are sufficient for the item views provided, the selection model allows you to create specialized selection models to suit the requirements for your own item models and views. 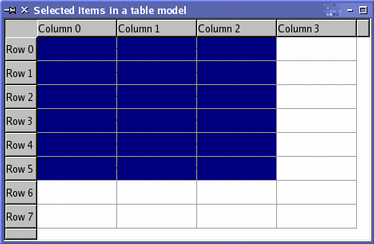 The selection of items can be modified using various operations that are defined by the selection flags. The selection that results from these operations may have a complex structure, but will be represented efficiently by the selection model. The use of different selection flags to manipulate the selected items is described when we examine how to update a selection.